Have you been to Ypsilanti lately? I’ve lived either in, or near Ypsi my entire life. Like most cities, Ypsi’s had its ups and downs. Having spent several evenings and weekends around town this spring, it’s becoming increasingly obvious that Ypsi’s thriving; businesses are cropping up, taking root, and becoming main-stays. Of course, a healthy existing business community creates a safer environment for more businesses to move in and grow. This cycle’s happening in Ypsi’s walkable Downtown and Depot Town business districts. In addition to its many flourishing small businesses, Ypsilanti’s art scene is burgeoning. One of the most interesting things about these multiple successes is that business owners and artists (of course there’s overlap between these groups!) are building success together. 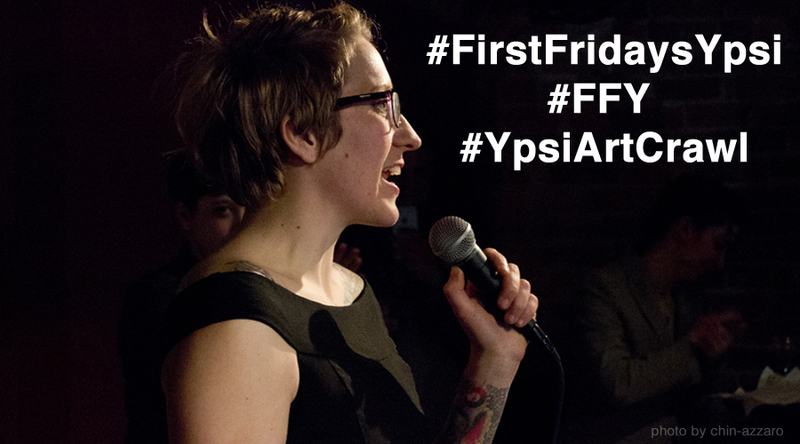 One example of Ypsi’s efforts toward the co-creation of success is First Fridays Ypsilanti (FFY). FFY began taking shape in 2013, with groundwork laid by the Ugly Mug Cafe, where monthly art exhibits had been a regular occurrence. With the involvement and support of the folks at Bona Sera Cafe, FFY as it currently exists started taking shape. Support from the Ann Arbor Awesome Foundation, Bank of Ann Arbor, and members of the community meant that organizers could live the dream of expanding and promoting FFY, and truly highlighting all the good happening in downtown Ypsi. Photo by Chin-Azzaro, from firstfridaysypsi.com. Check out the awesomeness that happened in June! The community turned out to stroll around downtown, visit fantastic venues, and experience visual and performance art. There was even a dance party in the library courtyard (which was both surprising and not-so-surprising to Ypsi oldtimers like me and my friends). July’s edition of FFY promises to be at least as fantastic as June’s. But be aware: In order to accommodate the Independence Day holiday, FFY will be held on July 10– currently the only variation from the easy-to-remember First Friday schedule. Want to learn more about FFY? Follow them on Facebook, visit their website, and check out this interview with the organizers. When you visit FFY, don’t forget to post a pic and a comment to social media using #FirstFridaysYpsi. I hope to see you there! 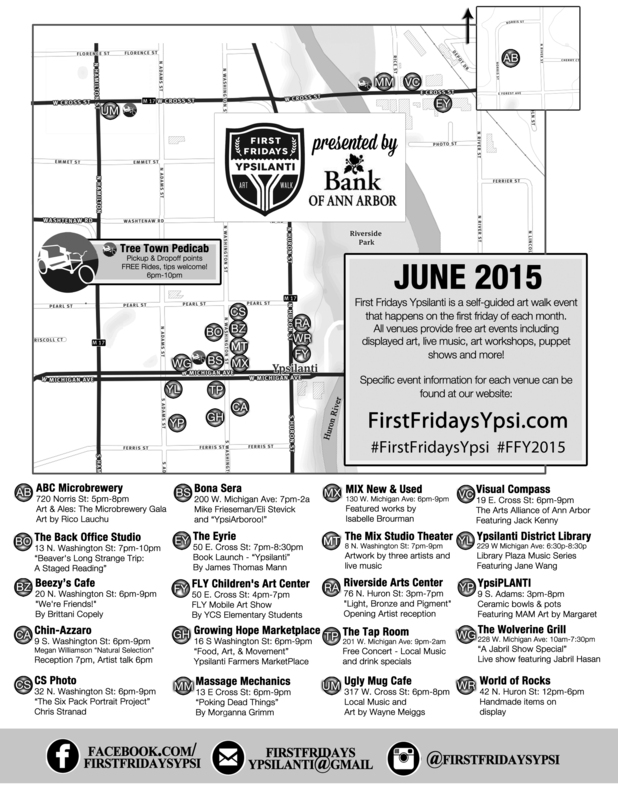 Have you been to First Friday Ypsi yet this year? Does your community do something similar? Sound off below and share some of your favorite memories! Tagged art, community, family friendly, First Fridays, Southeast Michigan, Summer event, Ypsilanti.